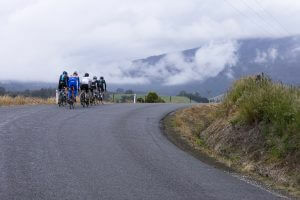 Cyclists on the Scottsdale Loop travelling to the east coast of Tasmania and then on to Hobart. Cyclists on Mount Wellington, Hobart. 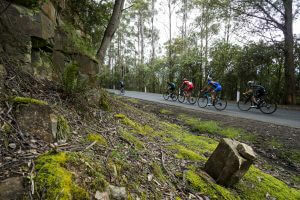 Take a trip to Tasmania, a cyclist enthusiast’s dream destination. 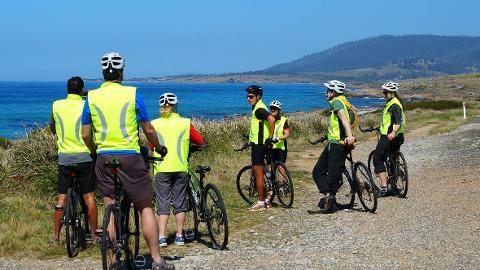 Tasmania is a cyclist enthusiast’s dream come true….beautiful and varied landscape, a range of terrain for all levels, temperate climate, national parks galore, and charming country towns to greet visitors along the way. The lightly-trafficked roads are in relatively good condition and provide a great network to explore all ends of this splendid isle full of wonders. From gentle cruising, to demanding, hilly landscapes, Tasmania has it all. In summer months cyclists can make the most of extended, extra-long days. The east coast is a popular destination and less demanding that the west coast. Here, weather is more predictable and those on cycle tours will find plenty of charming towns and stops along the way that provide needed rest and relaxation. For those looking for a challenge, look no further than the rugged, demanding west coast. Weeks could be spent exploring this wild region, full of hills and dramatic scenery. Regardless of the itinerary, visitors are guaranteed a range of gorgeous views, from pristine beaches, majestic mountains, bountiful wine country, peaceful valleys, to quaint country roads. 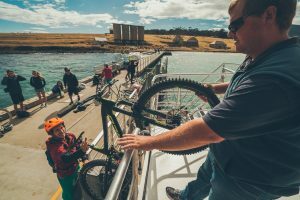 Bringing your bike along to Tassie is too easy. Just be sure to prepare the flights accordingly and pay for excess weight. Place your bike in a bike box or bike bag and you’re good to go! The Launceston airport even has an area for assembling and there are rental cars available with bike racks. For those traveling on the Spirit of Tasmania via Melbourne, there is ample room for bikes and more. Image thanks to Flow Mountain Bike. In general cyclists may feel comfortable in their gear when stopping in local cafes and pubs. Tasmania has an overall casual style of dress and locals are welcoming. Planning in advance is key. 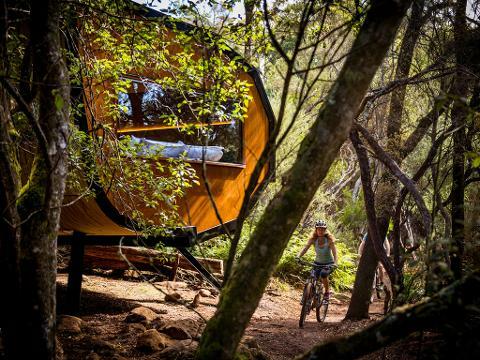 Although there are plenty of accommodations scattered throughout the island, cyclists should reserve rooms to ensure they’ll have a place to rest their weary heads after a long, exciting day on the road. Free or inexpensive campsites are widespread and can be a terrific way to fully immerse oneself in the natural beauty of Tasmania. Caravan parks have tent sites as well. Similar to hotel accommodations, research spaces ahead to confirm spots and availability. Bring appropriate clothing and equipment even in the summer months, as the temperature can dip quite dramatically in the evenings all year round. Visitors will be delighted with the array of country pubs, bakeries, and restaurants that serve up local cuisine and specialties. This is a popular option that’s less hilly then the west, with milder weather conditions overall. It's also perfect for cycle touring with towns and villages at relatively short distances from each other. Many places include scenic views of remote coastline and sandy beaches. Image thanks to Tourism Tasmania and Heath Holden. Launceston to Hobart (or vice versa) can take anywhere from 1-2 weeks depending on desired length (between 430-690km total, averaging approximately 53-60km per day). Popular towns and stops on the east coast include Scottsdale, George Town, Bridport, Derby, St. Helens, Bicheno, Coles Bay, Dunalley, Swansea, Orford, Port Arthur, Nubeena, and Richmond. Another east option is to explore Bruny Island, an easy drive from Hobart. With steeper climbs and exciting descents, the west coast is sure to provide a welcome challenge to experienced riders. Be prepared for long stretches of remote landscape with a temperamental climate. The west coast can also be explored with a route starting in Launceston and finishing in Hobart (or vice versa) in 1-2 weeks (between 647-895km averaging approximately 68-92 km per day). The stops along the way may include the following towns and places: Beauty Point, Deloraine, Ulverstone, Cradle Mountain, Rosebery, Strahan, Queenstown, Derwent Bridge, Tarraleah, Hamilton, Cygnet, and Adventure Bay. Image thanks to Flow Mountain Bike.